All my Sugoi gear worked really well. The socks are crucial for me, but with the Sugoi socks I dont have any issues. Enough of compression and protection from blisters. Together with my Mizuno Ronin shoes, I didnt even think about the feet, they just kept going and I have no problems today. As for the shorts I had chose Sugoi Jack, I was a little bit afraid that they would be warm, but with the result in my hand, again I didnt even think about them/ I loaded up the back pocket with two gels and they were very reachable when I needed them and they did not interfere with my run. The Jack kept me dry and no issues with chafing. Im now very tempted to try out Sugoi split short 42, for really hot days. Last, the Rsr Singlet. What a great product. This piece moves with your body and transport the sweat away from your body. 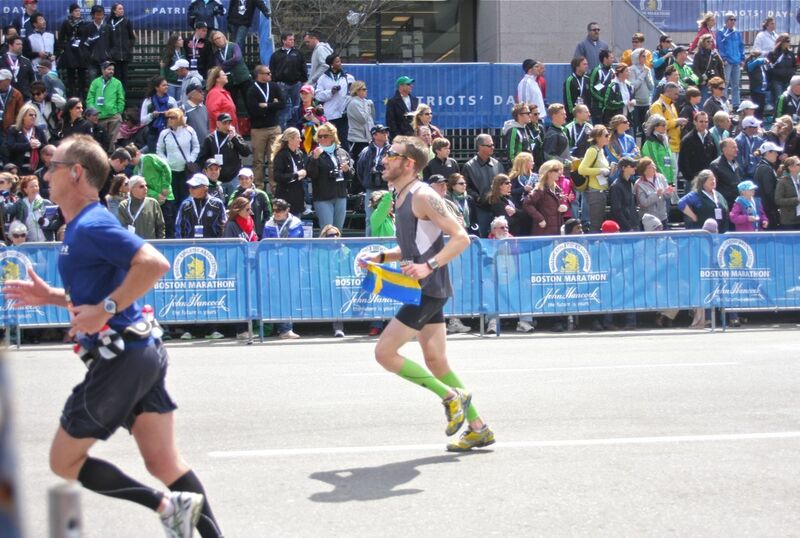 I'm big sweater but I felt comfortable all the way from Hopkinton to Boston, no chafing, it just went with the flow. It has the mesh part under arms and on the top of the back part, perfect. New York City marathon is coming up in November and I'm sure Sugoi will have the fall collection colors ready for me!